Leave Only Footprints - The Journey. Images that will be on display at the gallery will gradually be added here in this online gallery. Flight of the Lovebirds - South Luangwa National Park, Zambia. 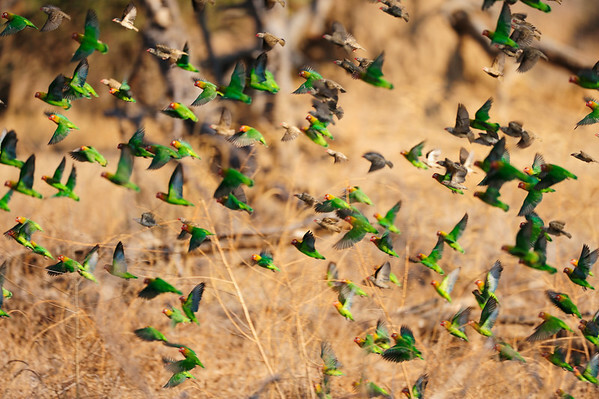 The Africa Lovebirds are always on the move if you get close. We got to see plenty of lovebird clouds as we got to call them.